The show at Madison Square Garden had been booked far in advance and the venue “didn’t think we were going to sell well,” Mr. Murphy said. “They were trying to get a big opener for us,” and suggested a nonsensical double bill with Big Boi from Outkast. Elsewhere in the piece, Murphy says that his decision to permanently disband (for five years) was “sincere.” “It wasn’t a ploy,” he claims. So it’s conceivable (if you want to keep scarfing down what Murphy is feeding you) that he already had the idea to disband and then just took the leap when the opportunity presented itself. But what does his claimed sincerity matter—especially sincerity of heartstring-tugging, this-is-really-it-guys, public declaration sort—if it’s only going to be retracted later, especially when both decisions behoove their maker financially? Were this not “sincere,” were it intended as the scam it effectively became, it could have played out in exactly the same way. 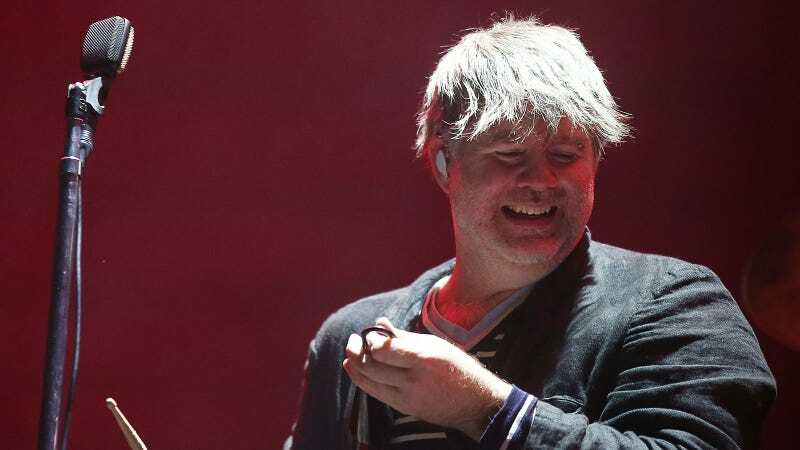 Because I have friends in New York, I know that LCD fans don’t really care about being jerked around—they loved the farewell show, they love that they get to have their band back. Great, I’m glad James Murphy has put a little love in everyone’s hearts. Just be careful, because who knows what he’s going to do with it in the future.